Between the rings, dings, buzzes, alerts and notifications of today’s world and technology, it’s easy to get distracted. Distraction leads to less focus, and less focus leads to a lost vision. That’s the theory that inspired three entrepreneurs to launch OCEAN, a tech accelerator that helps founders and their companies improve their odds of success by focusing on the deeper purpose that drives them. 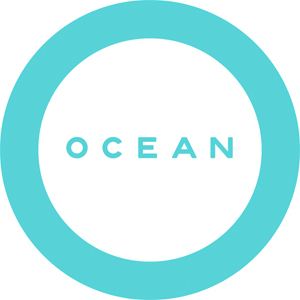 OCEAN was launched by Tim Brunk of Cladwell, Chad Reynolds of Batterii and Tim Metzner of Differential out of a group called Unpolished, which was founded in June 2013 at Crossroads Community Church. “Unpolished originally began as a grassroots group of Crossroads members gathering together to encourage, educated and engage aspiring entrepreneurs,” she says. Unpolished then grew to host events that attracted anywhere from several hundred to several thousand people. “Because of the excitement, momentum and quality of talent Unpolished was attracting, an accelerator seemed like the next logical step,” says McDonough. That’s when OCEAN was born. The first OCEAN class will begin in January 2015 and McDonough says that it will offer a supportive environment for founders, allowing them to grow through integrated curriculum targeting both business and faith. Up to 10 companies will be selected from a pool of applicants. Selected companies will participate in the six-month long program and receive an investment of $20,000 in the form of a founder-friendly, uncapped convertible note. “In addition to capital, the companies will receive a brand identity kit, cost-of-living support, an opportunity to connect with our early customer network and a world-class office space,” says McDonough. The six-month program consists of a set curriculum that focuses on personal, spiritual and professional growth. It also includes a public demo day to give companies a chance to show off to investors, customers and the world their progress. An impressive roster of 30 mentors work with OCEAN, some of which are the most respected and innovative thinkers and professionals in their fields, adds McDonough. The guidance and skill set offered by the innovators and business professionals will be invaluable to the companies who work with OCEAN. Not only will companies be able to interact with world-class individuals but plans are currently being finalized for what OCEAN believes will be one of the most creative accelerator spaces in the world, located on Madison Avenue in Oakley. “OCEAN has also already raised enough capital for its first cohort of companies and is quickly securing commitments for year two,” McDonough says. To learn more, visit www.oceanaccelerator.com, “like” them on Facebook, click here to follow up them on Twitter, click here to apply before the application deadline of October 15, and click here to support the initiative by joining the Early Customer Network.